The indifference of Westerners to atrocities committed by our governments in Yemen is another example of our political paralysis and hypocrisy. Saan’a: The War on Yemen is probably the most underestimated and unreported newsworthy story of of our lifetime. There is a reason why. An embarrassing 20-nation coalition (led by US, Israel and Gulf States spearheaded by Saudi Arabia) defeat in Yemen proves that the world has a chance against this satanic Rothschild onslaught. Saudis have been known to adhere to an age-old warning of Yemen by their late father. ‘Your prosperity and your demise is from Yemen’; words of wisdom that has rung in the ears of his children and successors up until the death of King Abdullah when things began to spiral out of control for the Saudi royals. The meaning: If Yemen were left alone to flourish and develop it would mean their end. 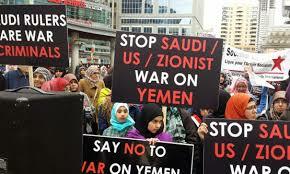 But if Yemen is left to decline, that this too would bring about their demise. The Saudis were first tested in Yemen’s 1962 revolution against the Zaydi (moderate Shia sect) Imam of Yemen. The Saudis favored the monarchy style rule of the Imam in opposition to democracy. Ironic that over 50 years later, Saudis would favor western-backed ‘democracy’ against the Houthis who are Zaydi and led by an Imam like young Abdul-Malik Al-Houthi. For over 50 years, the Saudis have been terrified of change in Yemen. 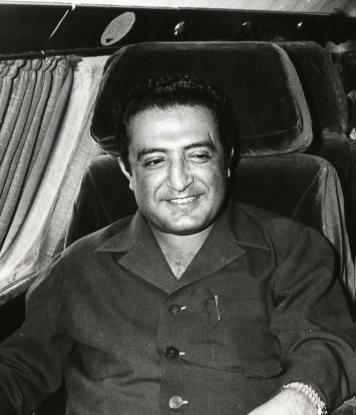 So much so that when a humble and ambitious leader, Ibrahim al-Hamdi, right, assumed position of presidency in Yemen in 1974 and attempted to lift the country he was quickly neutralized. Most historians and researchers believe the Saudis to be main culprits and benefactors of his assassination which was sparked when Al-Hamdi claimed Yemeni borders all the way into Makkah. The Kaaba has a corner which was named by the Prophet Mohammed (PBUH) ‘Al-rukun Al-Yemani’ or ‘the Yemeni corner’.